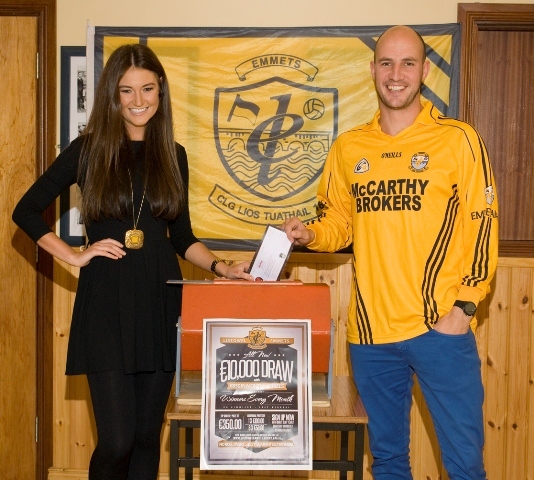 Tadhg Kennelly and Aoife Hannon Launch Emmets Monthly Draw. 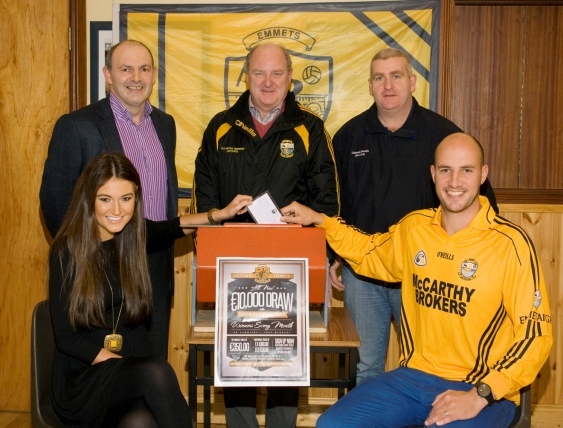 Frank Sheehy Park, Listowel was a hive of activity on Tuesday night last, as Listowel Emmets own Tadhg Kennelly and Aoife Hannon launched the new Emmets fundraising draw. What its all about ? Listowel Emmets are asking all friends and supporters of the Club to help us maintain and improve facilities at our Club by participating in our upcoming monthly draw. Following the completion of the massive re-development, the club has expanded very rapidly and are now fielding 25 teams from under age to senior at all levels including our successful Ladies Club and Coiste na nÓg. It is now costing in excess of €80,000 yearly to run the Club. 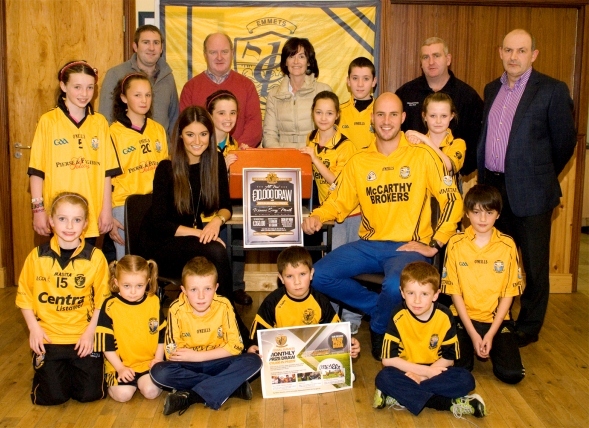 Emmets are one of the few clubs in North Kerry without a weekly or monthly fundraiser but have similar challenges to all other sporting clubs in providing facilities for our current and future players. The annual prize fund will be €10,000 (12 draws of €850 euro each) and unlike other draws there will be 10 guaranteed winners each month and all prize money will be distributed to winners. The cost of the draw is only €5 per month and our organising committee is currently selling tickets. We are encouraging people to sign up for a yearly ticket for €60 with options to pay by direct debit monthly, quarterly or annually. Annual ticket holders will be included in a special draw for 2 prizes of €100 each that will take place on the night of our first draw. Each draw will take place publicly on the last Wednesday of each month. Emmets would like to acknowledge the tremendous support we have received from within Listowel, North Kerry and throughout the county and we hope you will be equally generous again in supporting this very necessary draw.